Genre: In interviews, RS has said that he is making a blues album, so that’s pretty much confirmed. The name: There have been a couple references to the new CD’s title as “The Snake King.” “Rocket Science” was originally supposed to be called “Mayhem,” so we won’t really know until its closer to being released. Theme: Judging from the blues genre and the working title “The Snake King,” I have a feeling that it won’t have the same positive vibes as “Rocket Science.” A snake just doesn’t conjure up the same emotion as the dressed-up chimpanzee on the cover of “Rocket Science.” Starting back with the original book – the Bible – snakes don’t have a great reputation so a reference to a “snake king” sounds somewhat sinister. As the 2017 touring continues this weekend and beyond, hopefully we’ll be learning a little more about it soon! Our air conditioning went out last night and since the evening temperature is still about 102 degrees (down from the day’s 119 degrees) me and the family are across town staying at my dad’s house tonight. 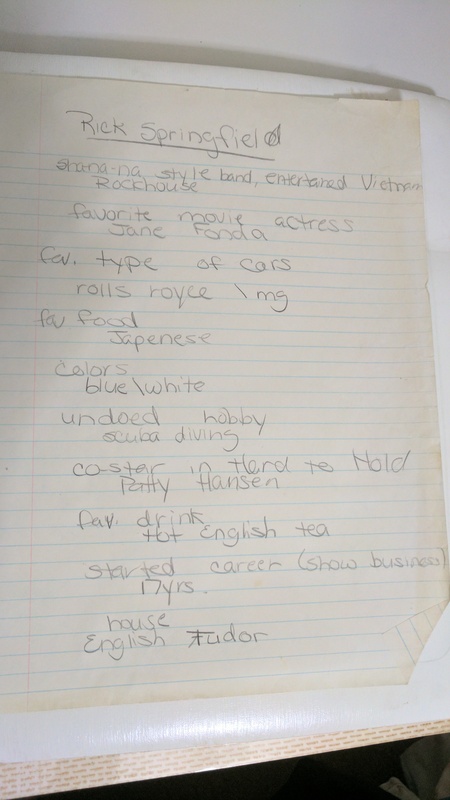 The house I grew up in, which means my teen RS collection is in my old desk drawer. 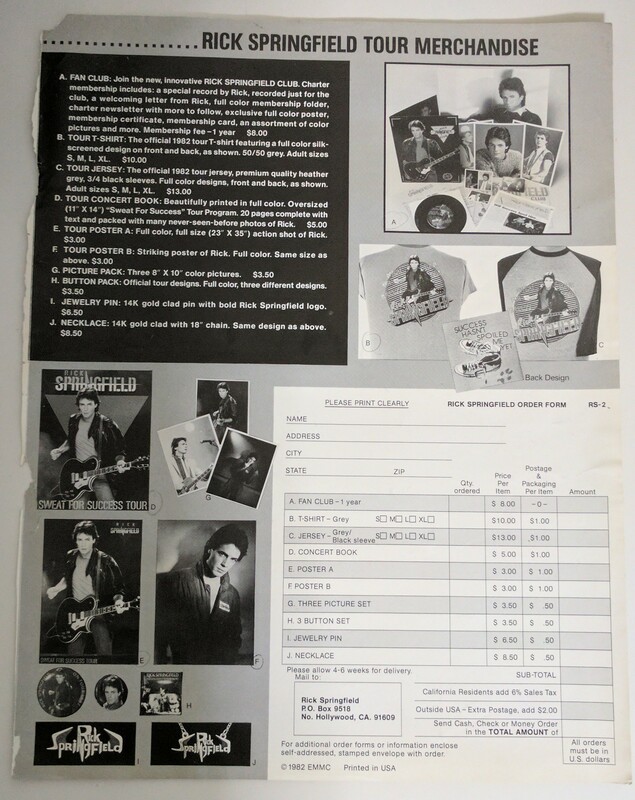 Tour merchandise order form from 1982, including an offer to join the new, innovative Rick Springfield Club, which included “a special record from Rick.” Cost: $8 for the year. For more of these treasures, see this previous post, right after I rediscovered them in the 21st century: Where it all began. And moving on to the future, today we got a listen of the first snippet of a song from RS’s new album, featuring none other than guitarist Tim Pierce from RS’s band back in the 1980s, The Fabulous Eels. But regardless, since it is 119 degrees outside, I thought I’d find something to do inside, such as try to find the sources for RS’s different looks in his GIPHY. Not sure if I’ve got it right, but here are my best guesses. Because of the color of the shirt – and the long hair and scruffy face – it reminds me of this look, which is from one of my very favorite photo sessions. My first guess on this one is “Souls” even though he’s not actually wearing a tattered suit with a red tie in the video, but he does have a scruffy look. He’s worn lots of suits during the course of his career, but can’t think of a specific one for this. Is it supposed to be “Jessie’s Girl”? 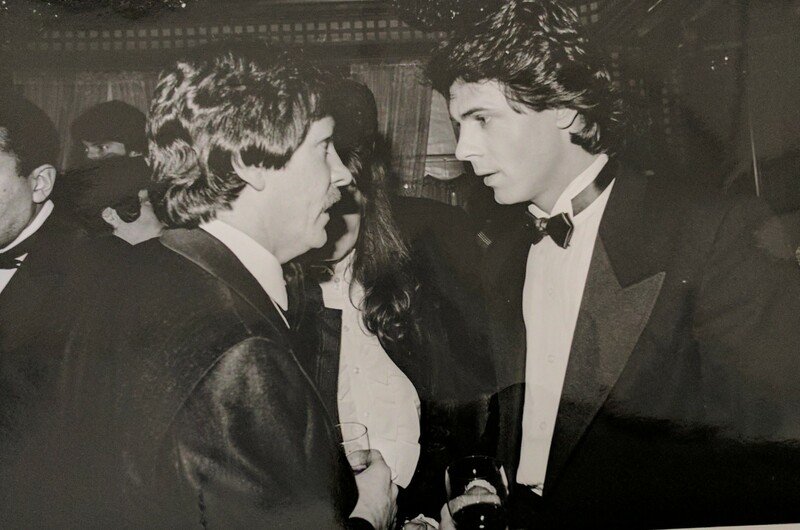 After the last post about the Rick Springfield photographs I found in an envelope in a box in my garage, somebody noted that Joe Gottfried – co-founder of Sound City Studios – was one of the men in the photos. 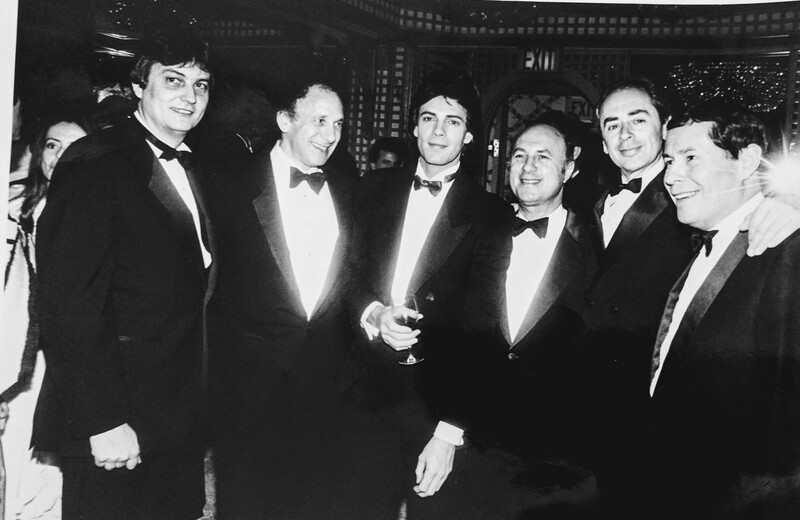 So I did an image search for “Joe Gottfried Sound City” and found a similar photo on producer Jeff Silverman’s website for his Palette Music Studio Productions. 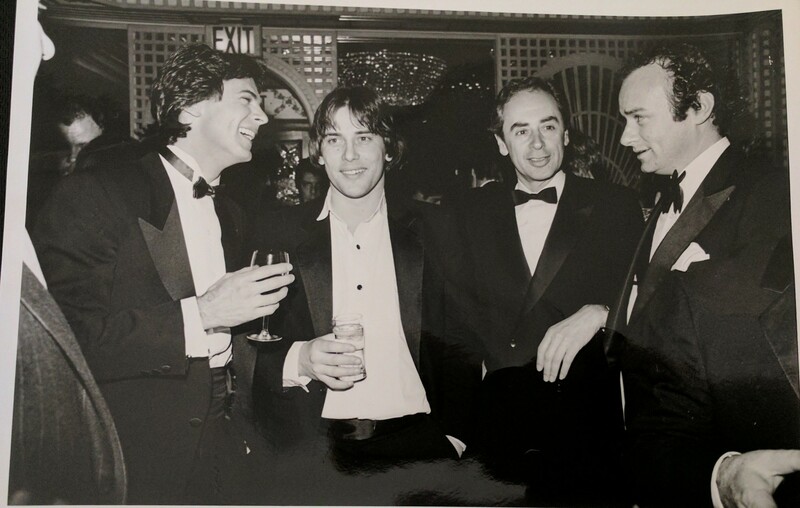 On the page with the photo, Silverman describes his early days in the music business, including how he first met Rick Springfield and his connection with Sound City Studios. 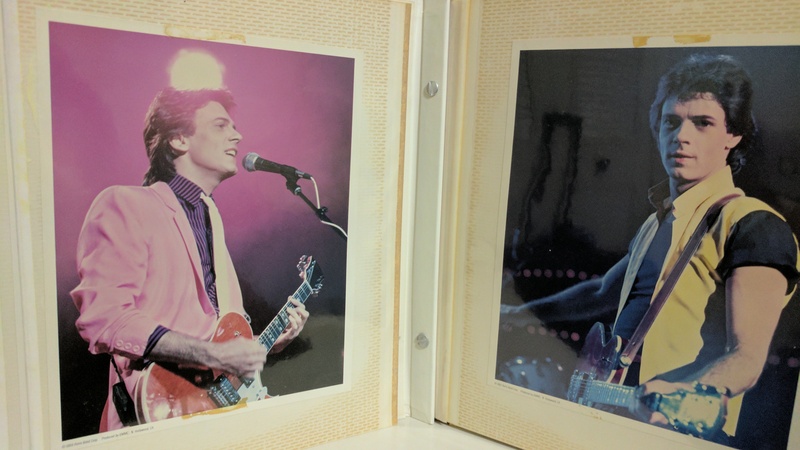 The page doesn’t say where the black and white photo was from, but the caption says the photograph is from the “Sound City” movie and it looks to be from the same event as the photos I found. So that mystery is somewhat solved, but what I then realized was that this ended up being a reminder of how mysterious life can be and how interconnected we all are. I don’t know if I can articulate it clearly, but I’ll try. 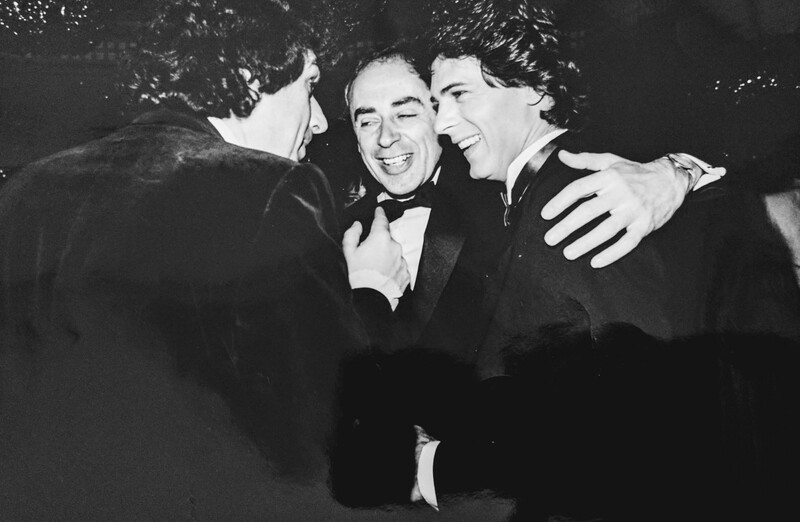 The person who sent me the photos, who I lost touch with years ago, was somebody I didn’t know all that well – she was the girlfriend of my ex-husband’s guitar teacher and was in a band in Los Angeles that we saw a few times. 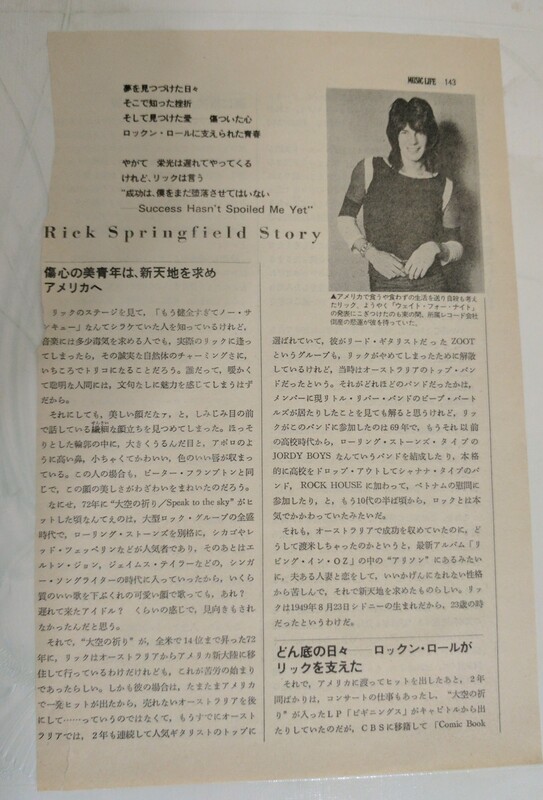 Apparently she knew I was a big fan of Rick Springfield because she was the one who got me into the Wherehouse in the first group to meet RS in April 1999, the day “Karma” was released, and before I went to Las Vegas to see a RS show later that year, she told me she knew RS’s guitar player. When I saw his guitarist in the bar after the show, I mentioned her to him and he gave me his phone number to give to her. So that’s the first part of this scenario. Then the second piece is that a similar photo to the one she mailed me is on Jeff Silverman’s website. What’s weird about that is that last year I contacted him to find out about how his online/virtual recording studio works after hearing him talk about it on a Rowdy Ron online radio show. Anyway, perhaps it’s just because it’s late at night as I’m writing this that all these connections related to RS seem so mind-blowing, but I’m just feeling super appreciative for all these small acts of kindness that people in my past have done for me and wanted to send out waves of thanks to them. I was looking through a box in the garage and I came across an envelope postmarked Feb. 19, 2001. 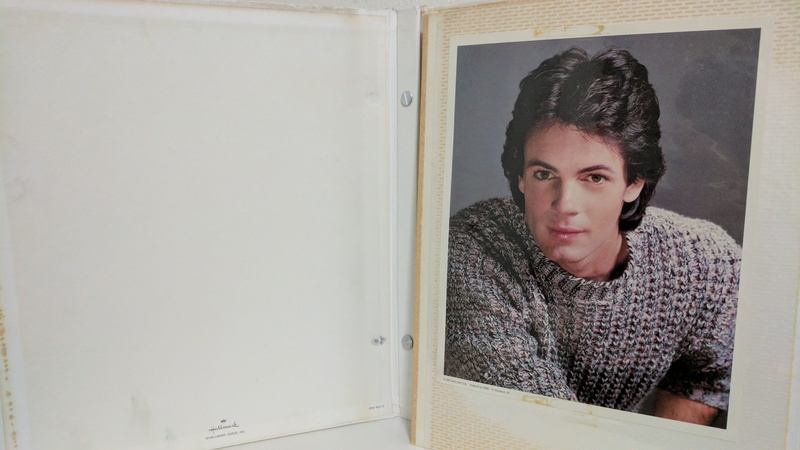 It was from a friend I’d lost touch with years ago and inside were 8×10 photographs of Rick Springfield. There was no note so I’m not sure what they are from. Only one of them, a picture of RS with former Los Angeles Mayor Tom Bradley, has information on the back (photo by Jeffrey Mayer/Rainbow Photography in 1982). The others look to be from some black-tie event. I thought I post them here in case anybody has any other information they would want to share. 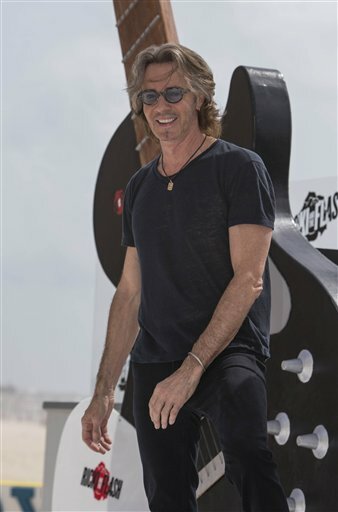 In the last few days, I’ve received several notifications of upcoming Rick Springfield shows. 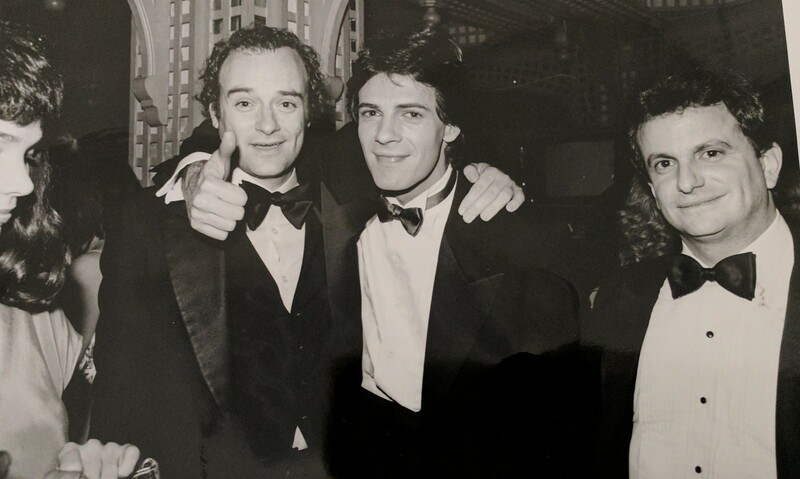 There are full-band shows, Stripped Down shows, co-headlined acoustic shows with Richard Marx and co-headlined shows with Pat Benetar and Neil Giraldo. One thing they have in common is that none are in Arizona. Sure, I’m happy for fans in all those cities and am grateful for all the photos and videos they will hopefully share, but it’s getting very close to the year-mark of being at a RS show so I’m starting to feel the withdrawal. In fact, a year ago one month from tonight, was the last time he was town. I already feel the virtual glare of fans in Australia or other places that may not have had a RS show in years or decades, and I know I’ve been spoiled (a total of five Arizona concerts in 2015 and 2016) but, c’mon, we’re neighbors (state neighbors). It’s just a one-hour flight for most of the band. You don’t even have to bring any equipment, we have some guitars and a keyboard you can use. Sorry, Siggy, you’d have to bring your own bass and Jorge, you may have to use the ottoman (think retro-style, like the demo of “Jessie’s Girl”). It can be a casual get-together with your Arizona fans (and if you want to make a road trip of it, there are probably some California fans who would charter a bus). Doesn’t that sound fun? Anyway, fortunately shows seem to be added on a regular basis (like that time in 2015 when I broke down and bought tickets for a Vegas show only to find out a few days later that tickets were going to go on sale for a concert that same week only a few miles away.) So there’s still hope that there will be a nearby show in 2017. Meanwhile, there has been news that RS and the band have been in the studio to work on the next album, which RS has said will be blues-y. So there’s a chance that he’ll play one of the new songs at one of these upcoming shows, which would be pretty cool, too, and if people share it online, that will help withdrawals – so thanks in advance.